About Lickwid Design... Atlanta, Georgia's Print and Digital Communication Design Experts! 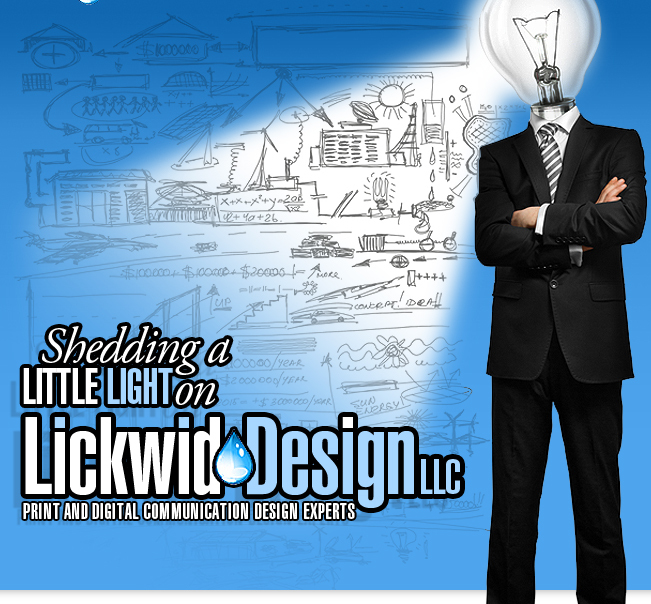 Lickwid Design LLC is a full-service design agency specializing in print and digital communications. Times are tight and it is becoming increasingly harder and harder to compete in today's marketplace! You need every advantage you can get. You need to make yourself not only "Stand Out", but be memorable as well. That is where we can HELP! We can create a look that is not only going to get you noticed, but more importantly remembered! Design for logos, brochures, menus, flyers, posters, websites, advertising and more... we can handle your every design need. start to finish of: Magazines - Catalogs - Small and Large Brochures - Corporate Identity Packages - Logos - Websites - Marketing Campaigns - POP/POS Packaging - Power Point Presentations - Large Format Graphics (Billboards/posters/pop-up banners, etc.) - Annual Reports - Direct Mail Advertising - Flash Animation - Newspaper/Magazine Advertising - Broadcast Graphics. and get a free quote for your project today. Click here to begin.